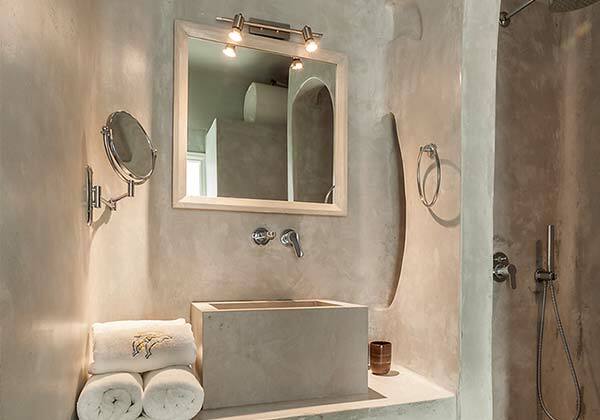 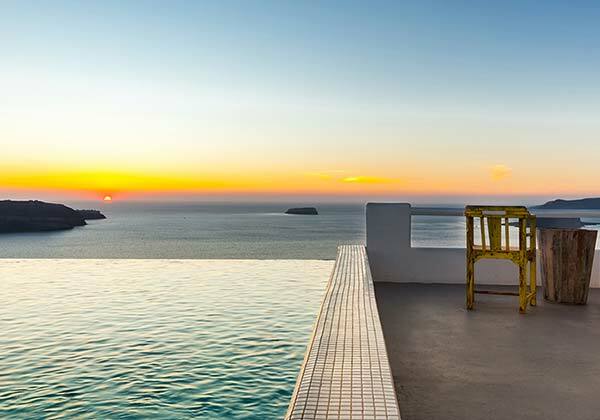 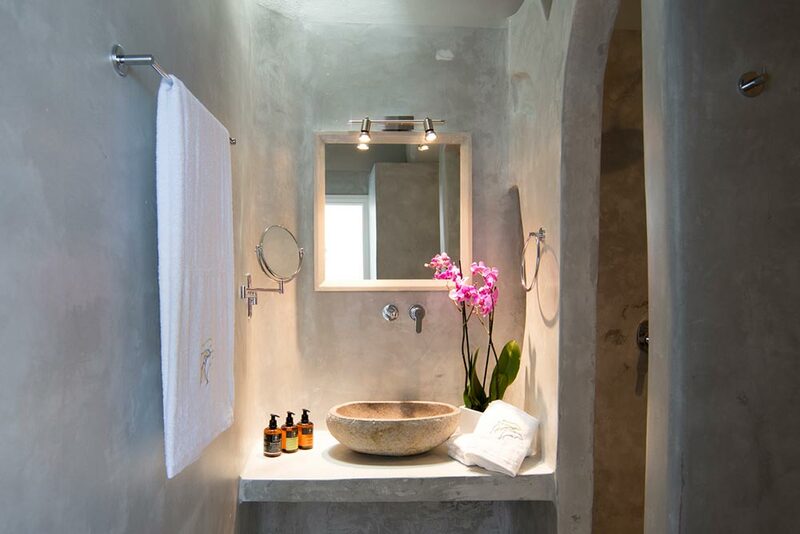 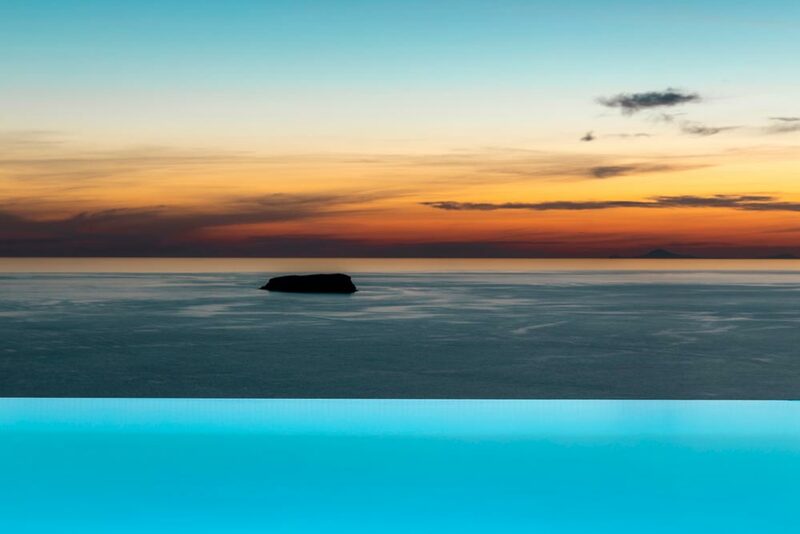 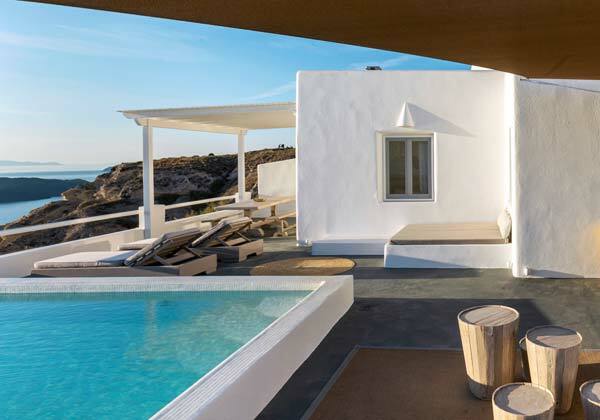 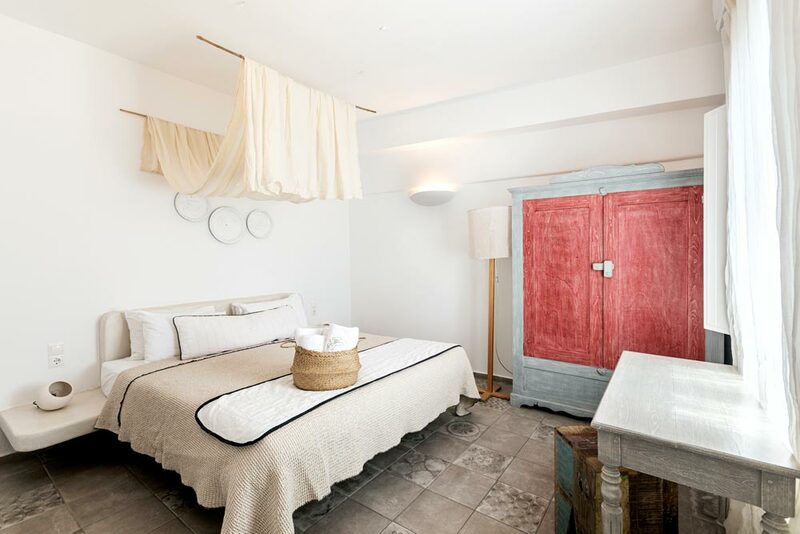 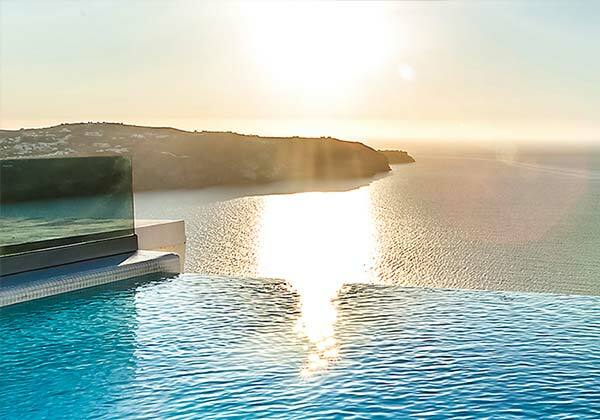 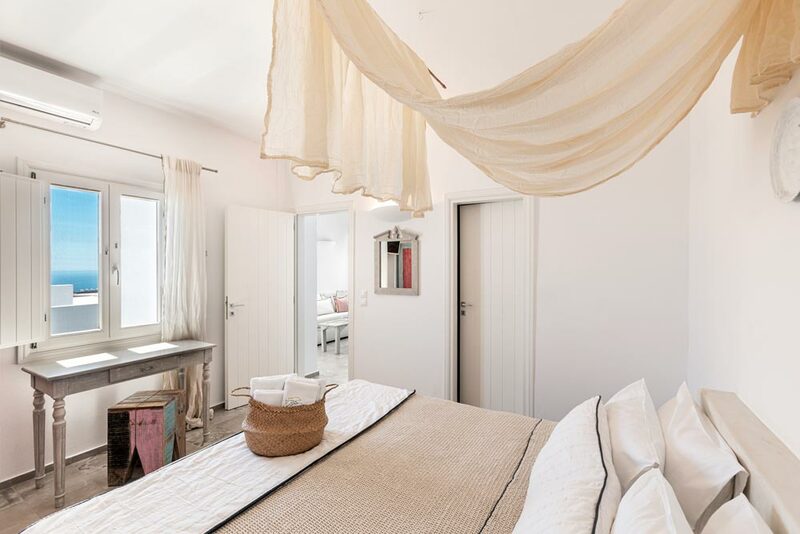 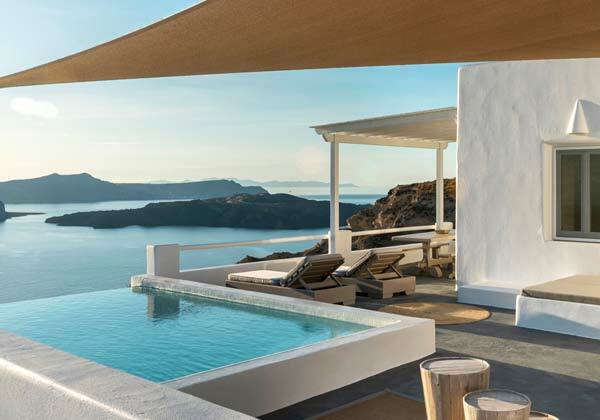 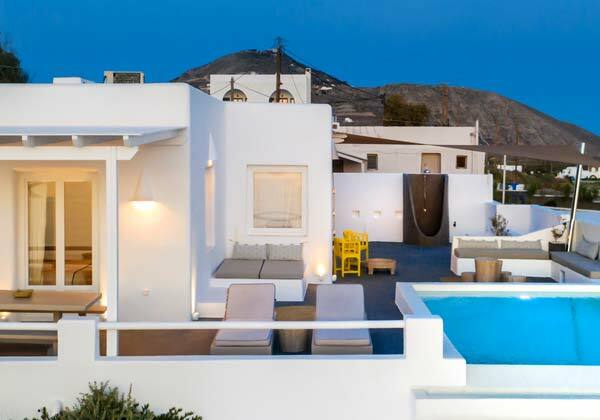 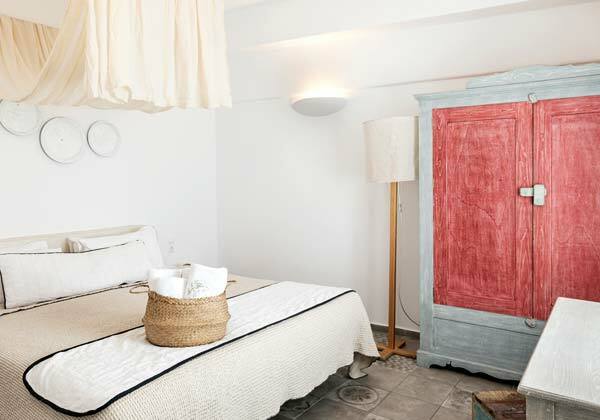 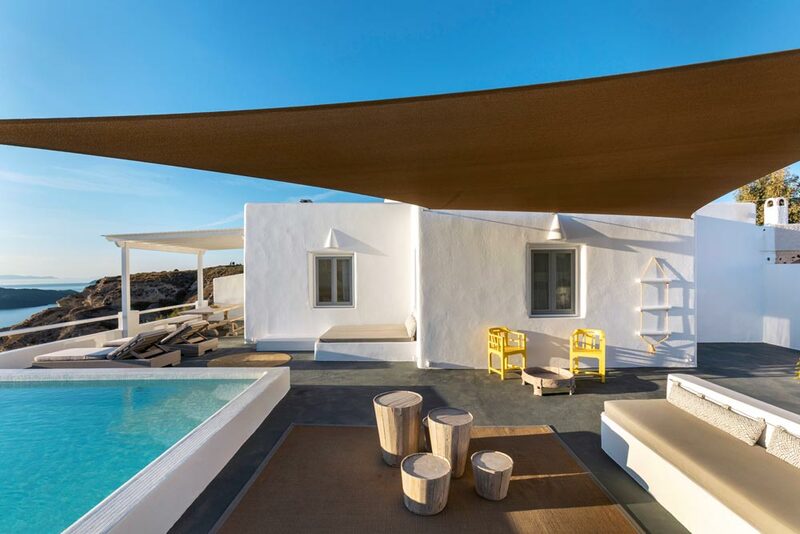 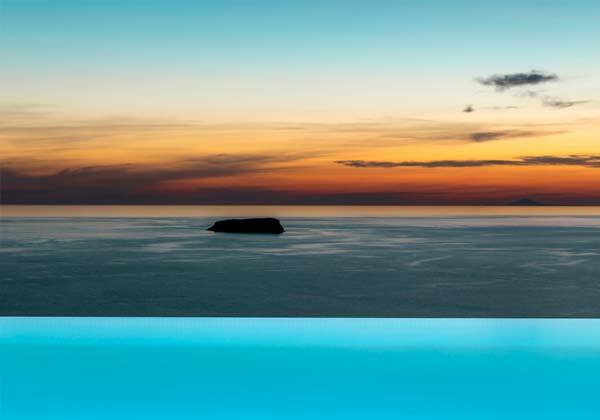 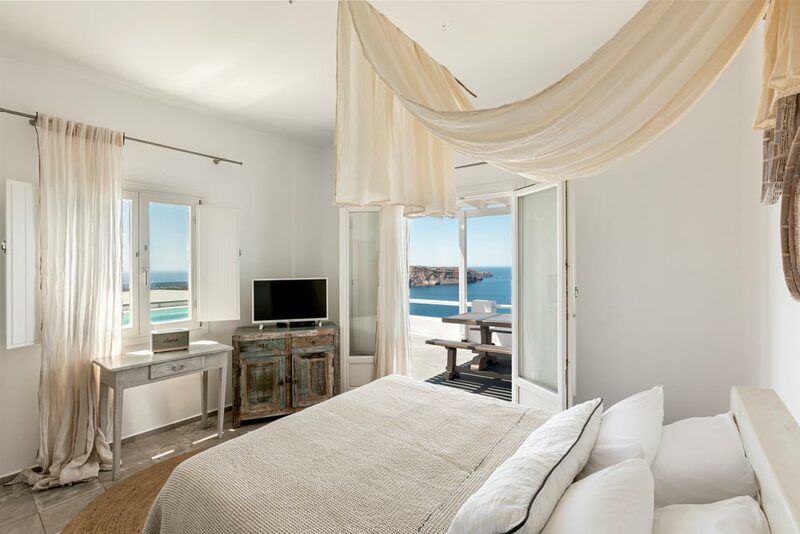 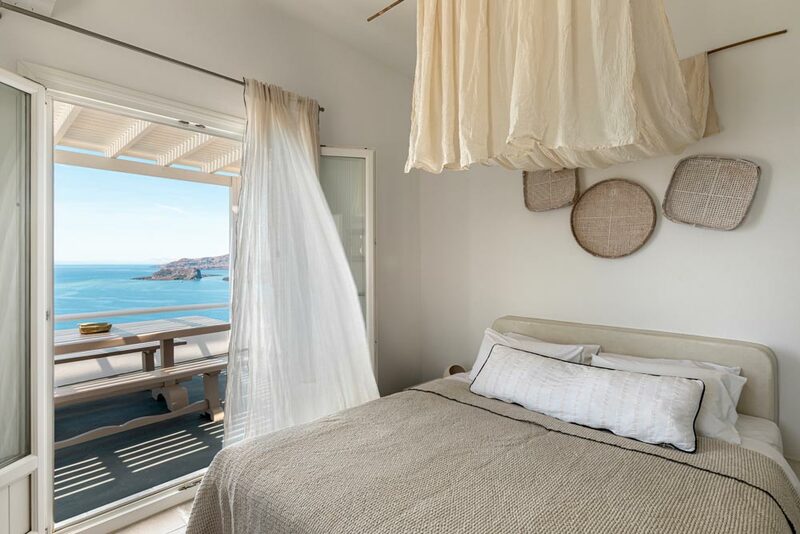 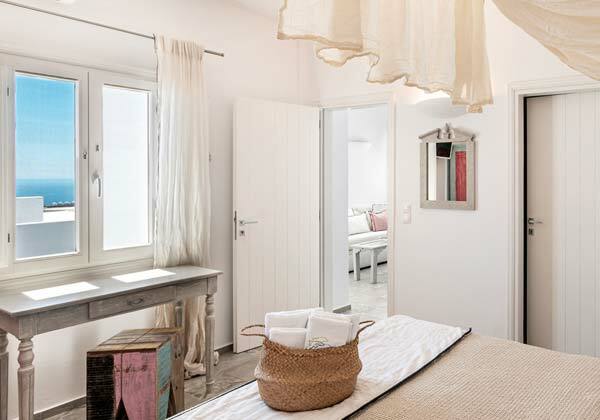 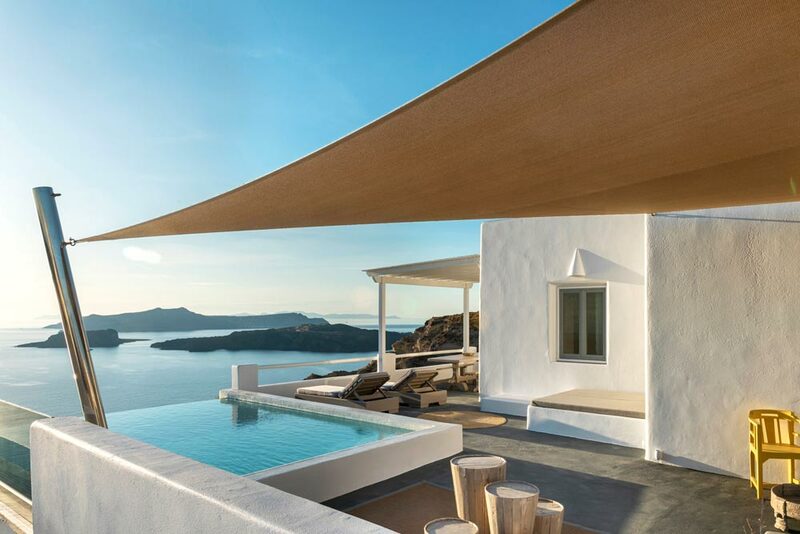 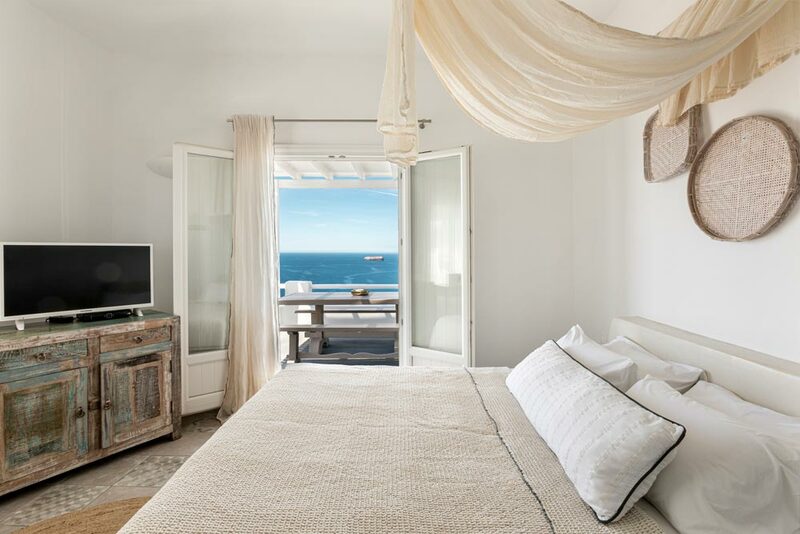 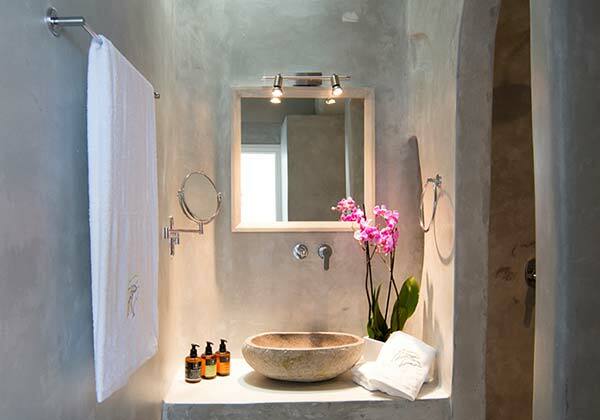 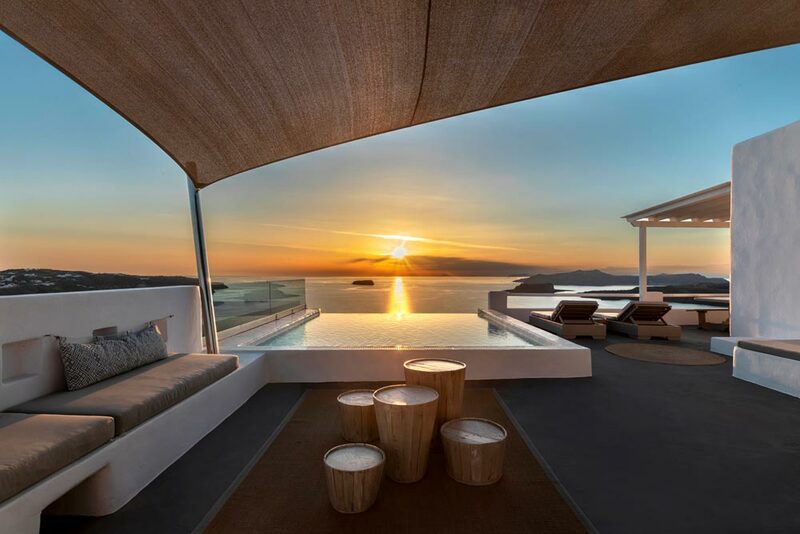 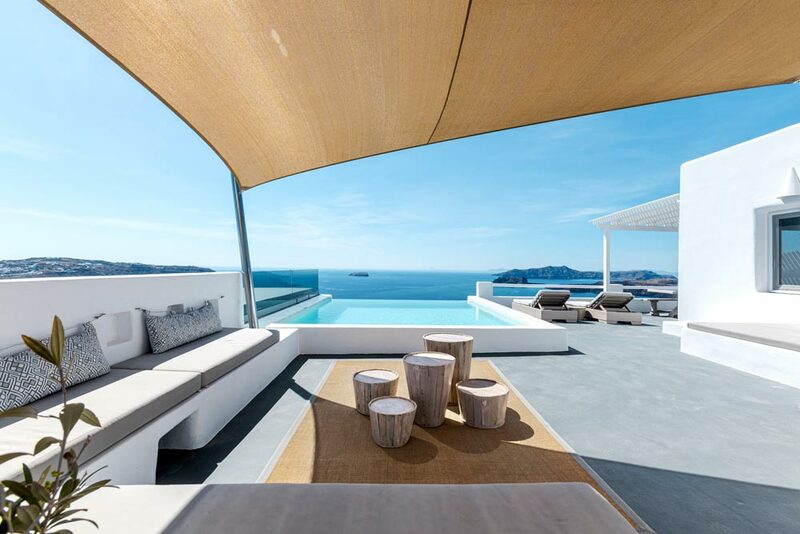 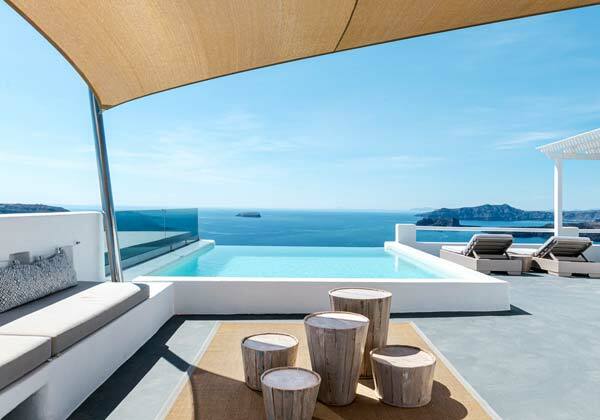 The Pool Villa is spectacularly situated at the top level of the Santorini Caldera. 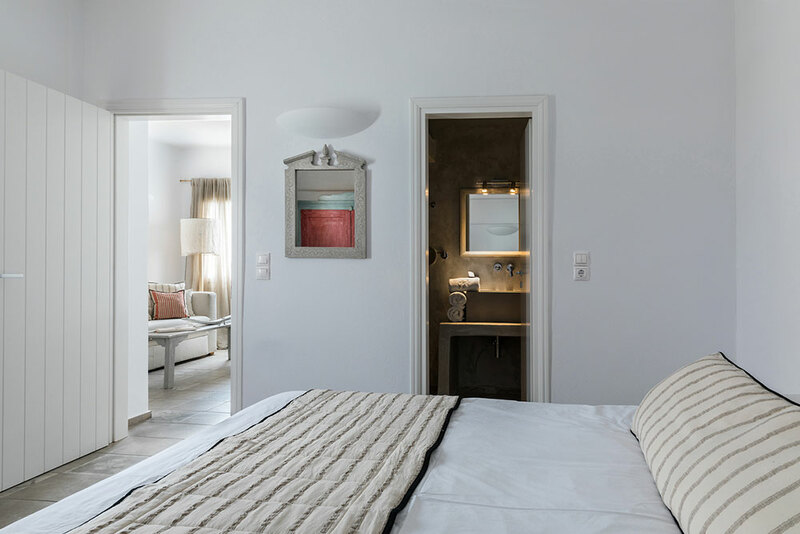 Modern Cycladic design creates the feeling of light, air and space. 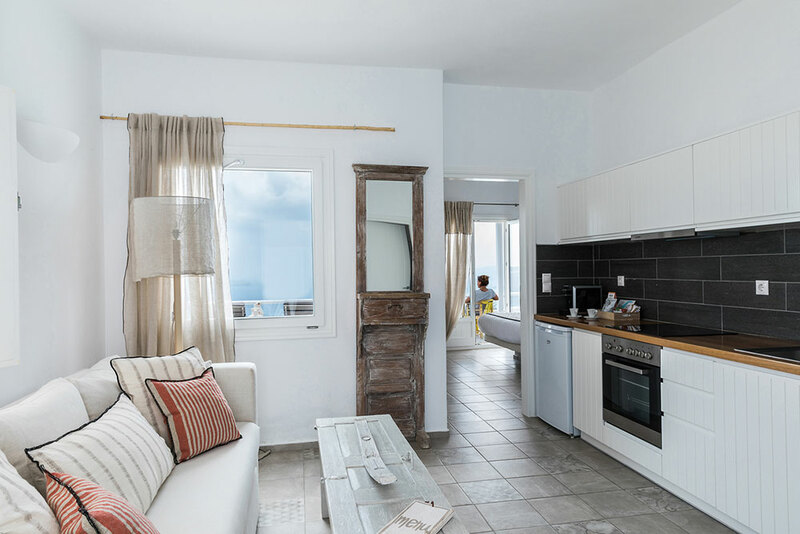 There are two bedrooms, two bathrooms, and an open-plan living room with kitchen. 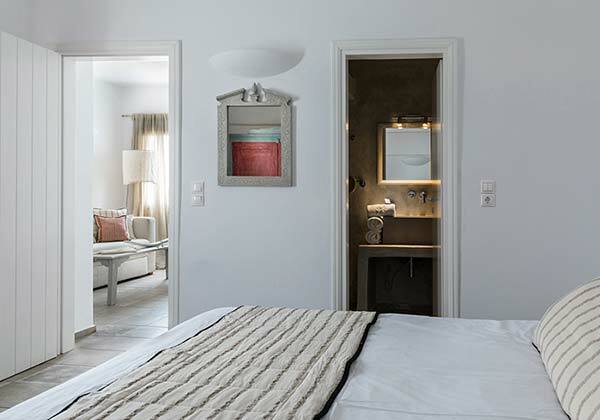 Each bedroom comes with a built-in double bed and SAT TV. 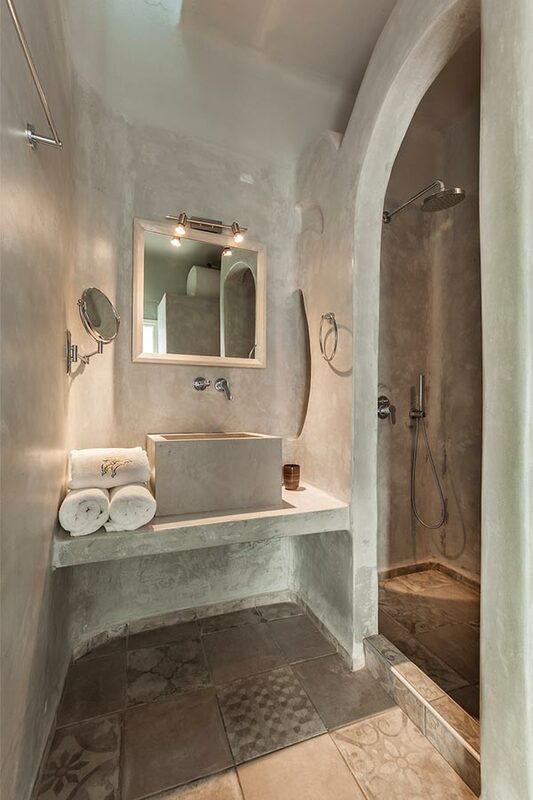 Bathrooms are charmingly decorated with a Santorinian style shower room. 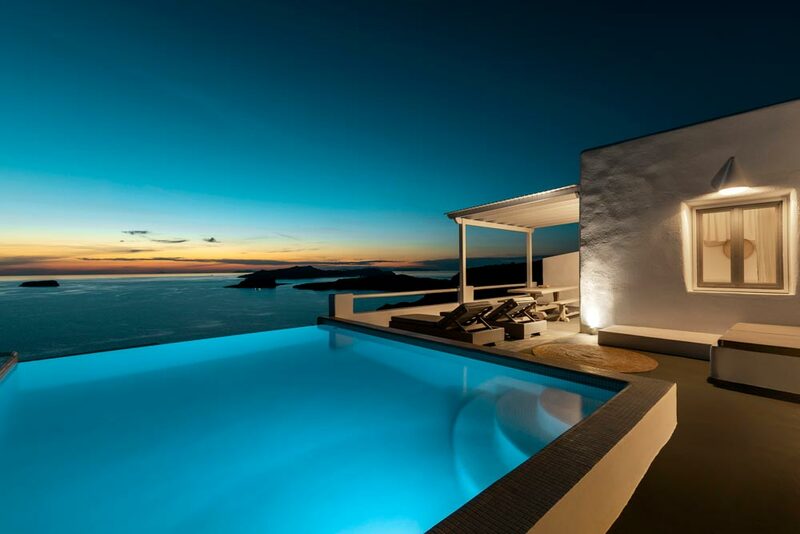 The pool patio is furnished with sunbeds, table and chairs - the perfect place to enjoy meals and a drink. 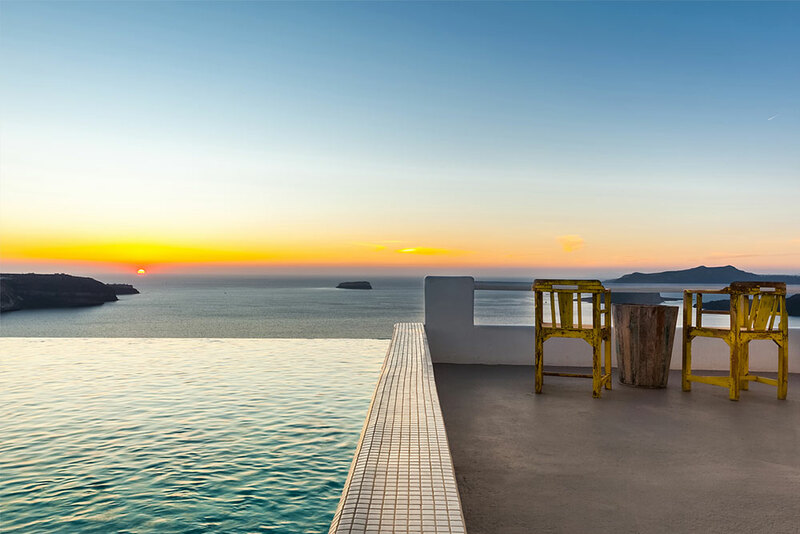 Our pool bar serves breakfast, lunch, dinner and drinks all day long. 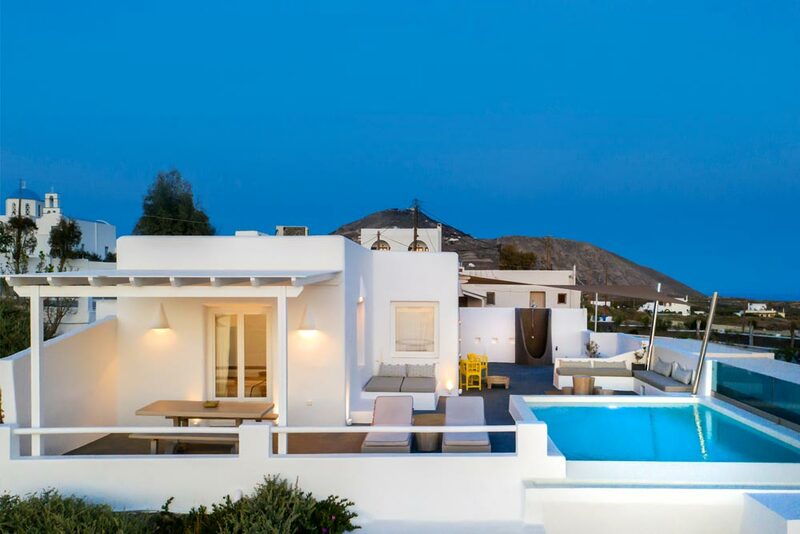 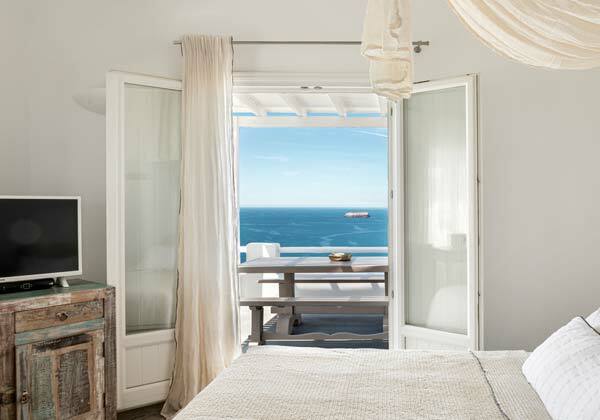 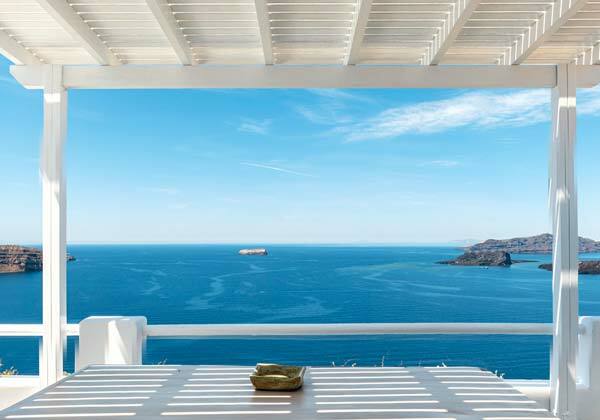 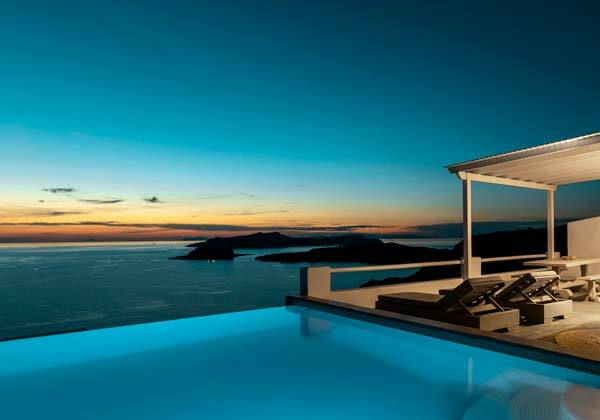 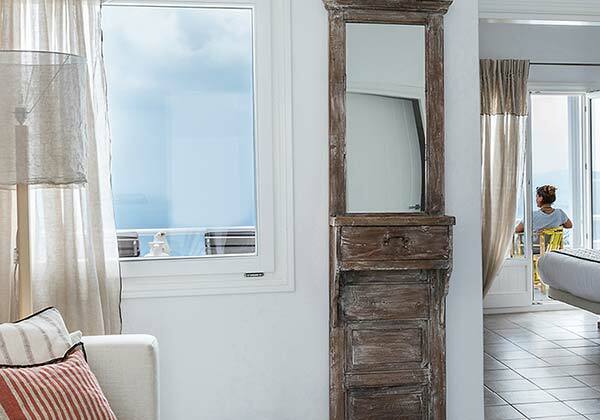 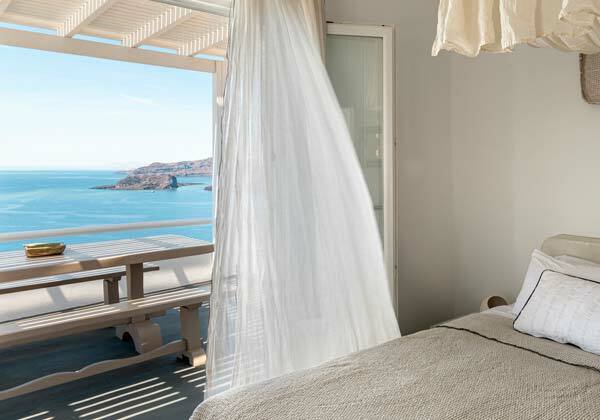 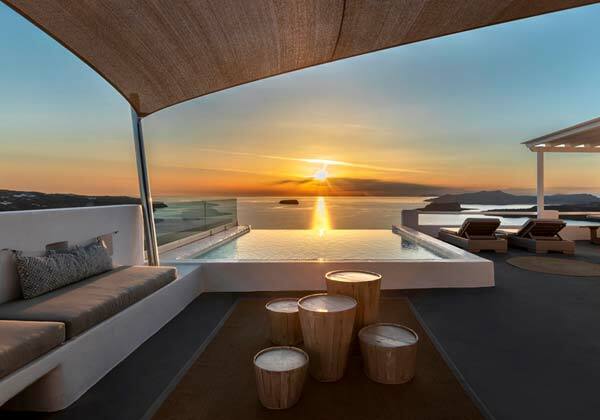 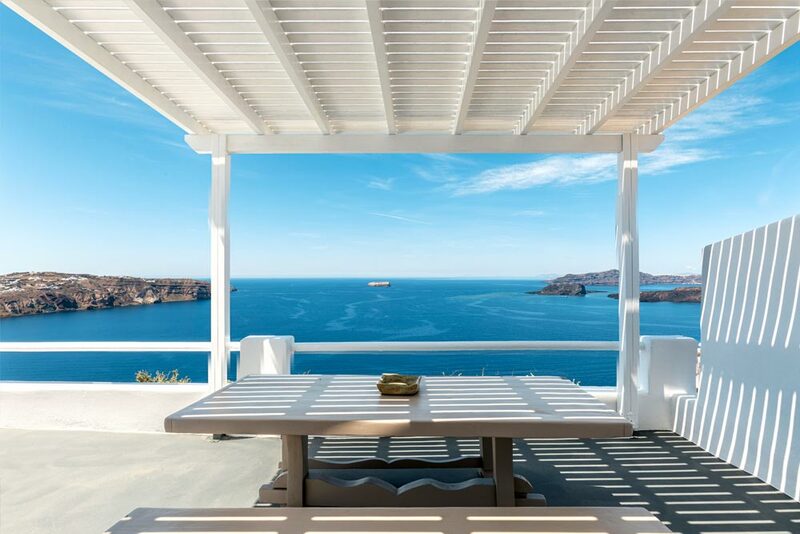 The Villa has a breathtaking view of the Santorini Caldera, Volcano, Aegean Sea and Sunset. 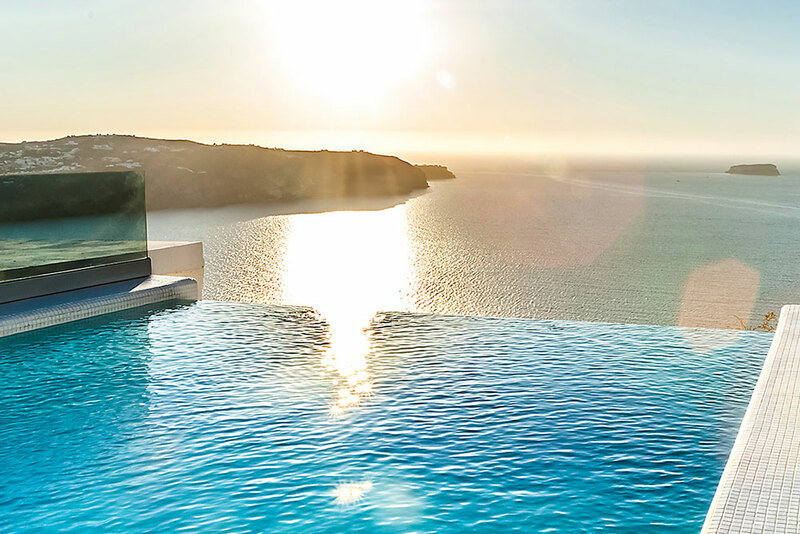 Ideal for Honeymoon couples.